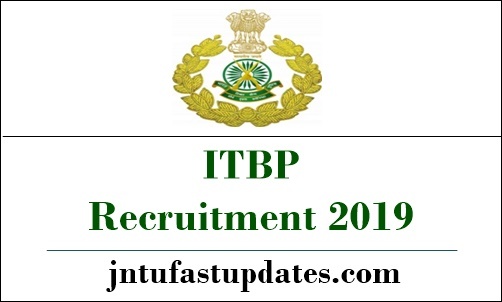 ITBP Recruitment 2019: Indo-Tibetan Border Police Force are invited Applications from Indian Citizens (Male & Female) for appointment to Group ‘A’ post of Super Specialist Medical Officers (Second-in-Command), Specialist Medical Officers (Deputy Commandant) and Medical Officers (Assistant Commandant) in Central Armed Police Forces (ITBP, BSF, CRPF, SSB and Assam Rifles), Ministry of Home Affairs, Government of India. A recognized medical qualification of allopathic system of medicines included in the first or second schedule or Part–II of the third schedule (other than licentiate qualification) to the Indian Medical Council Act, 1956. The age limit for recruitment of Super Specialist Medical Officers (Second-in-Command) should not be exceeding 50 years as on the closing date of receipt of application. The age limit for recruitment of Specialist Medical Officers (Deputy Commandant) should not be exceeding 40 years as on the closing date of receipt of application. The age limit for recruitment of Medical Officers (Assistant Commandant) should not be exceeding 30 years as on the closing date of receipt of application. Eligible and interested candidates have to apply online through website www.recruitment.itbpolice.nic.in. Candidates are advised to fill their profile and apply the online application form strictly as per the eligibility criteria and instructions given to avoid disqualification at a later stage. Candidates should also ensure to upload clear and legible photo, scanned signature and certificate in support of MBBS or equivalent qualification & specialized qualification issued by the recognized university at the time of filing up their profile details on the website. for more details click below notification link.